In a juice cleanse, an individual limits their diet to only fresh vegetable and fruit juices, and water. This diet style typically lasts from a few days to several weeks depending on the individual’s preference. Although juice cleanses have been around for many years as for only health but also religious and cultural purposes, in today’s market they are an increasingly popular way to crash diet. Fitness companies have even honed in on this trend, creating a variety of different tailored products and cleanse patterns available for purchase or if you have a good juicer (see our recommendations for the best juices on this page), you can make your own. But the question is: Do juice cleanses really work? 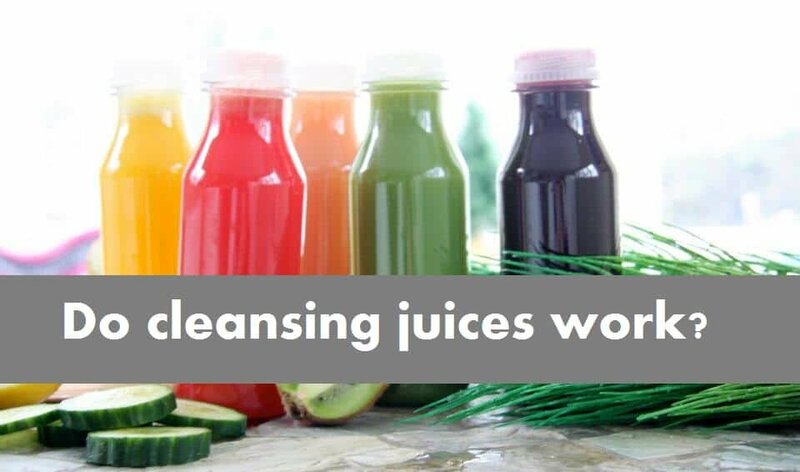 Many individuals choose to juice cleanse as a way of detoxifying the body due to the high nutritional value of fresh fruit and vegetable juices. Also, the juices provide the digestive system with a rest and so digestive enzymes can be put to use on breaking down insoluble fiber found in the stomach that slows down digestion. However, the lack of peer-reviewed information on juice cleanses has meant that many medical experts have agreed that the rid of toxins from the body in such a way is unnecessary as the liver and kidneys already do the same job to the extent that the human body requires. It is also important to note that in most cases juice cleanses do not claim to result in any substantial weight loss, but rather to be used as a kick-start to a dieting regime by clearing the body in preparation. While on a juice cleanse an individual is essentially denying their body of other important nutrition such as fiber and protein, neither of which are present in fruit juice, which can lead to fatigue and other symptoms, and so most juice cleanses are recommended to be used only short term. In order to find the right juice cleanse for an individual, it is clear sufficient time is needed to research into exactly which style of juice cleanse is best fit. So Juice cleanse may work with varying results. Don’t agree with us? Listen to what Dr. Oz says in this video.